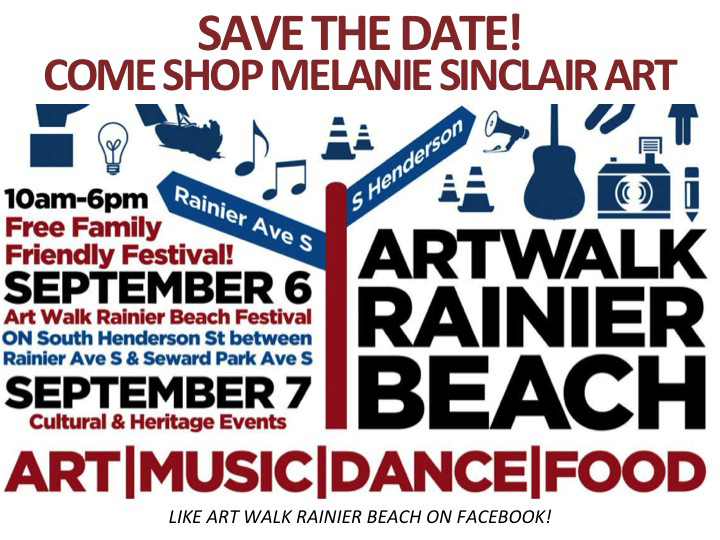 I have been getting ready for the Artwalk at Rainier Beach on September 6th. I will be sharing a double booth with two other artists, Jennifer Rodriquez and Heidi Schultz. Jennifer works with fibers and Heidi is going to be doing some face painting! 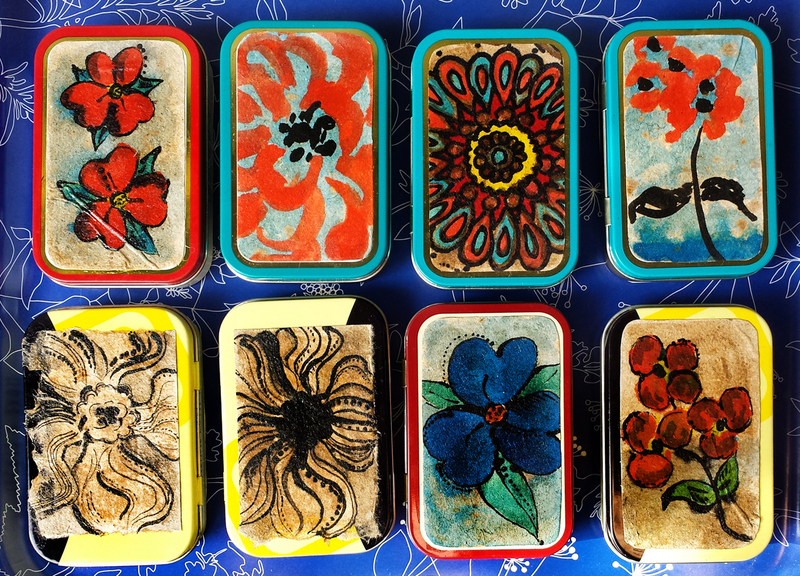 I have been working on some new tins and boxes, using some hand made papers that were given to me by an former colleague Cynthia Millis from Houston Community College SW. 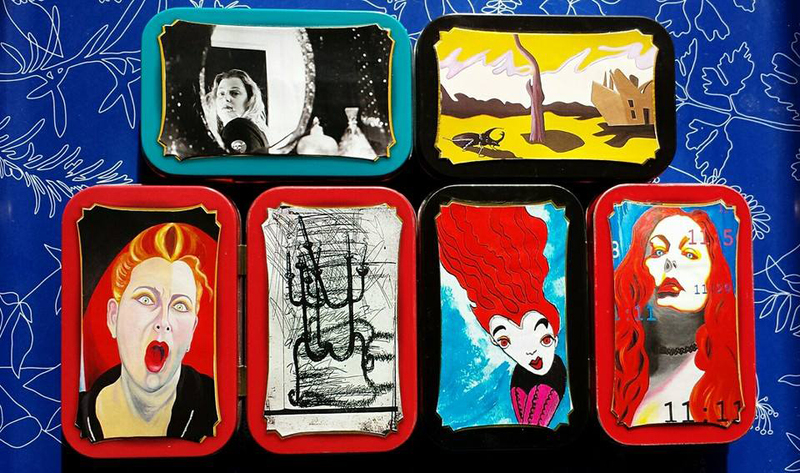 These small works of art are drawn and painted onto the paper and then I have collaged them to the tins. I have not posted these new pieces in my Etsy store because everything is going to the RBAW with me. Here are some examples. 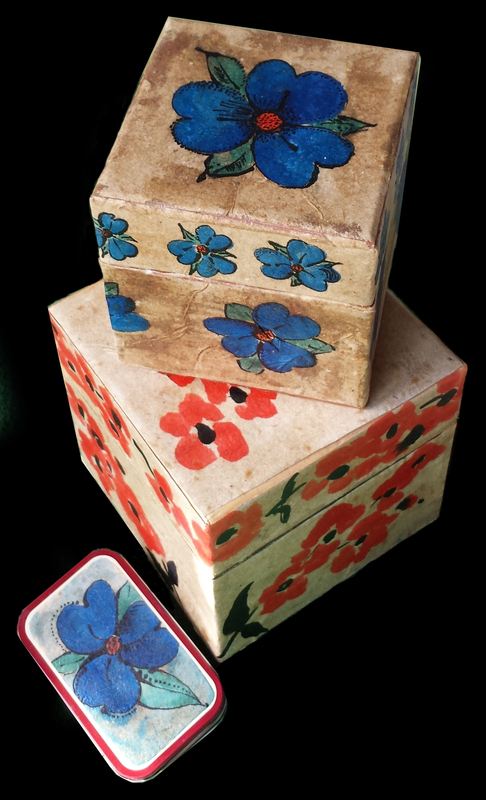 Now if you were looking forward to a chance to buy some of the older pieces, don’t worry I am taking them too! There will be many styles and images to choose from. If you are an admirer of my work please come down to the Artwalk at Rainier Beach on Saturday September 6th from 10am-6pm. I will be there with some great items for you take home and enjoy!